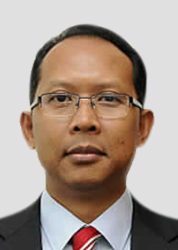 Prof Dr. Sazali Abdul Wahab is Professor of Management and Organizational Sustainability at Putra Business School, Universiti Putra Malaysia (PBS-UPM). Prior to joining PBS-UPM, he was the Professor of Management at Universiti Malaysia Kelantan (UMK), the founding dean of Centre for Postgraduate Studies (CPS-UMK) and the founding dean of Malaysian Graduate School of Entrepreneurship and Business (MGSEB-UMK). He has been appointed as committee members for various strategic and technical committees at national and university levels. Prof Sazali has successfully written more than 100 academic publications including 18 academic books together with various chapters in books; which mainly focus on organizational sustainability, sustainable organizations performance, inter-firm technology transfer, international joint ventures, supply-chain management, and microcredit. As an avid social science researcher, his works have been regularly published and appeared in many reputable, cited and indexed international and local journals. He has successfully supervised more than 40 Ph.D., MSc and MBA students. Prof Sazali obtained his Ph.D. in Management (Inter-Firm Technology Transfer) from Graduate School of Management, Universiti Putra Malaysia (GSM-UPM), MBA (International Business) from GSM-UPM and LLB (Hons) from Universiti Kebangsaan Malaysia (UKM). He holds the professional leadership certificates of Oxford Advanced Management and Leadership Program, University of Oxford (OAMLP) and Authentic Leadership Program (ALD), Harvard Business School (HBS). Prof Sazali is an active member of the Malaysian Professor Council (MPN) and holds a certified Apple Foundation Trainer (AFT) from Apple Asia. He also serves as a committee member of Oxford Business Alumni (OBA) Kuala Lumpur Chapter and a member of Harvard Business School Club Malaysia (HBSCM). Most of his works can be found in Amazon.com, Barnes & Noble, eBay.com, emeraldsight.com, kinokuniya.com, Google Scholar, Research Gate, and LinkedIn.